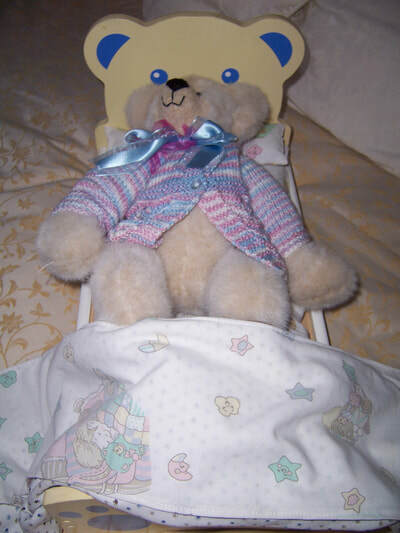 This lot of doll/teddy bear bed items is just perfect as a gift for a special person. 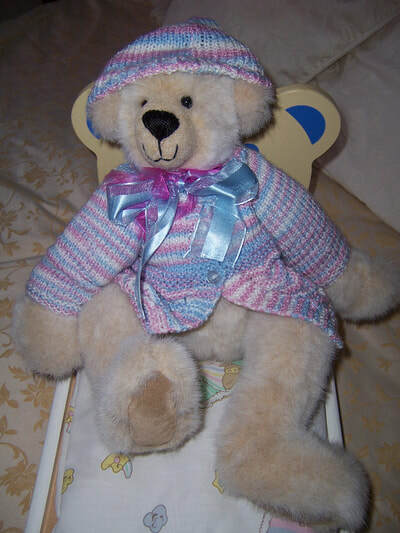 He/She is dressed in a pretty multicoloured hand knitted cardigan and matching hat, and around his/her neck are blue and pink ribbons. I am a great believer in recycling when I can. 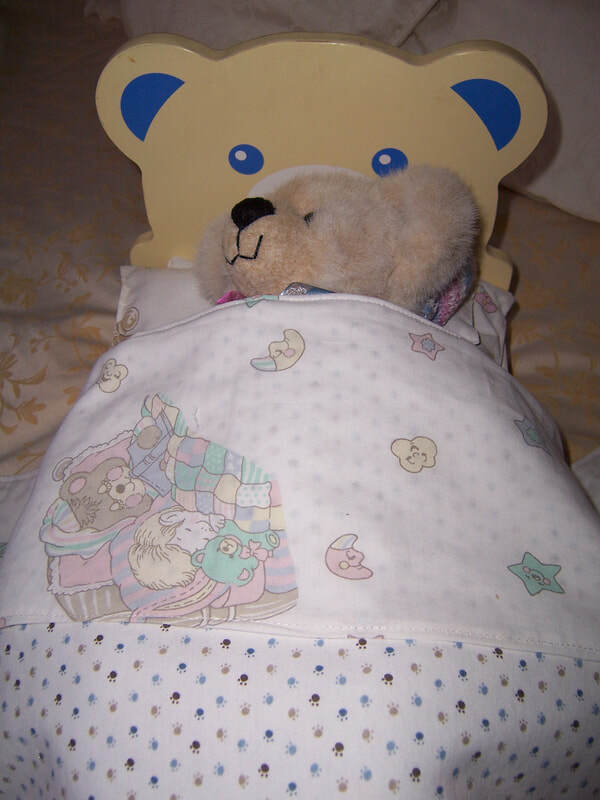 I have repurposed a vintage baby sheet and blanket and made a mattress, pillow and double sided blanket for the special bear. 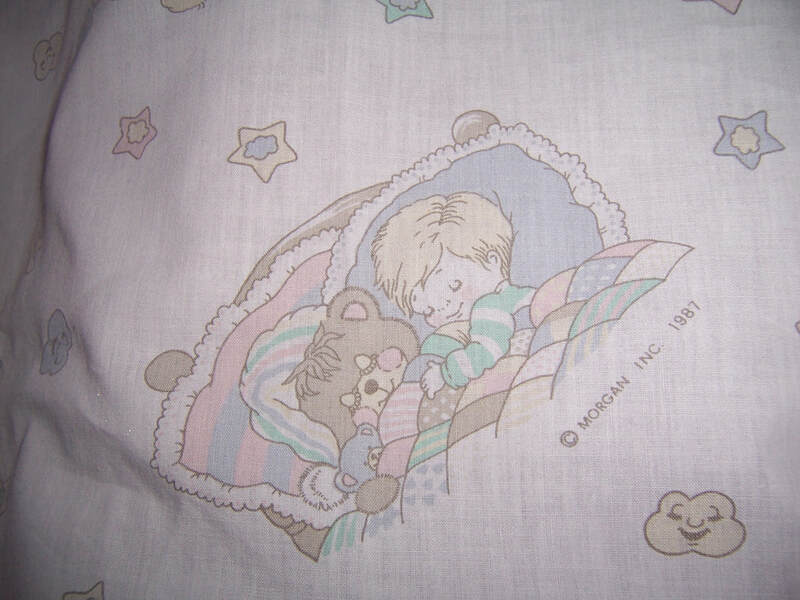 The sheet has sweet pictures of a child sleeping with teddy bears, and the blanket has small animal paw prints on it. See our pictures. The bed is made of wood, and is yellow and blue in colour. 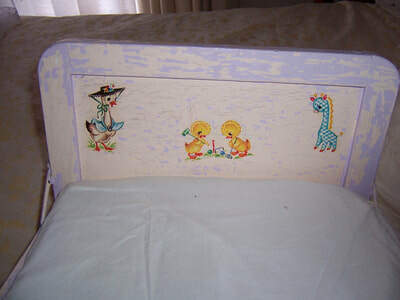 It has a blue face of a teddy bear on the head board, and blue paw prints on the bottom of the bed. It has been very well made and there are some chips to the paint here and there - nothing too drastic - see our pictures. It is approx 47cm long and 26cm wide. 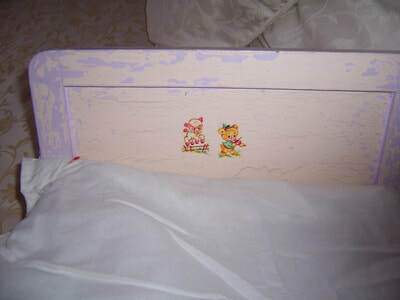 The head board is approx 25cm tall, and the end of the bed is approx 13cm tall. 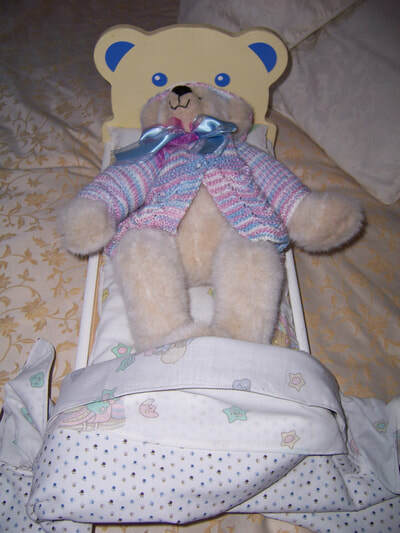 This doll cradle appears to have been homemade by a child's loving grandfather or father for her Christmas present. 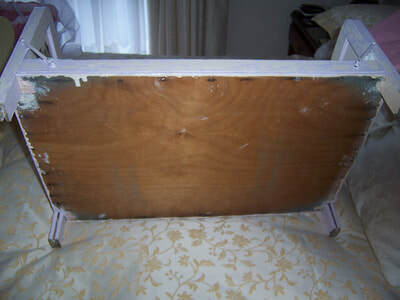 It would perhaps be made circa 1970/80, and is very sturdy and heavy, and is already for its new owner. 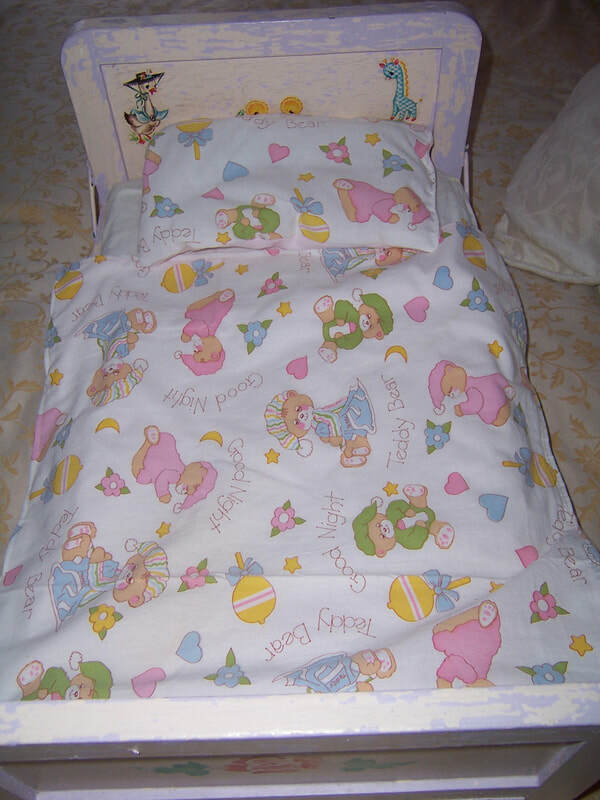 The cot will come with a 3 piece bedding set. We have covered a large piece of foam with a pretty teddy bear pillow case which is the mattress. 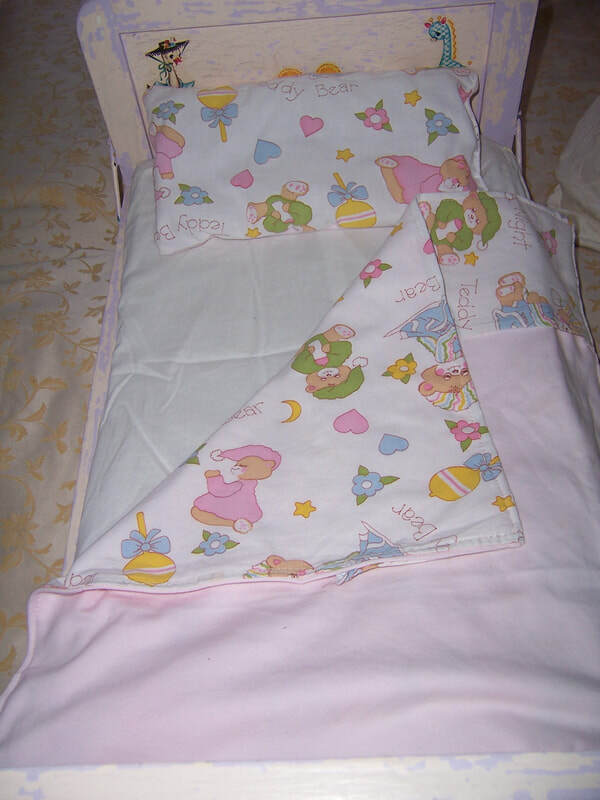 There is also a baby pillow which we have made a matching pillowcase to cover it, and a reversible sheet/blanket to go with it as well. A lovely set. 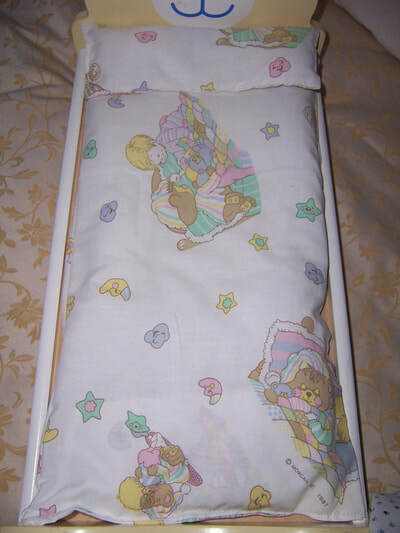 If you own a vintage Pedigree or Saucy Walker type 22'' doll this cot will fit the vintage dolls. It is quite hard to find a bed for these large dolls to sleep in. The doll beds these days are made for the smaller dolls on the market. It will of course fit the modern dolls as well. 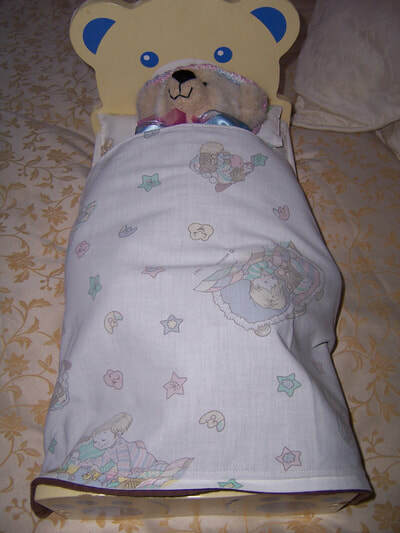 See picture of our Zapf Baby Born doll in it. 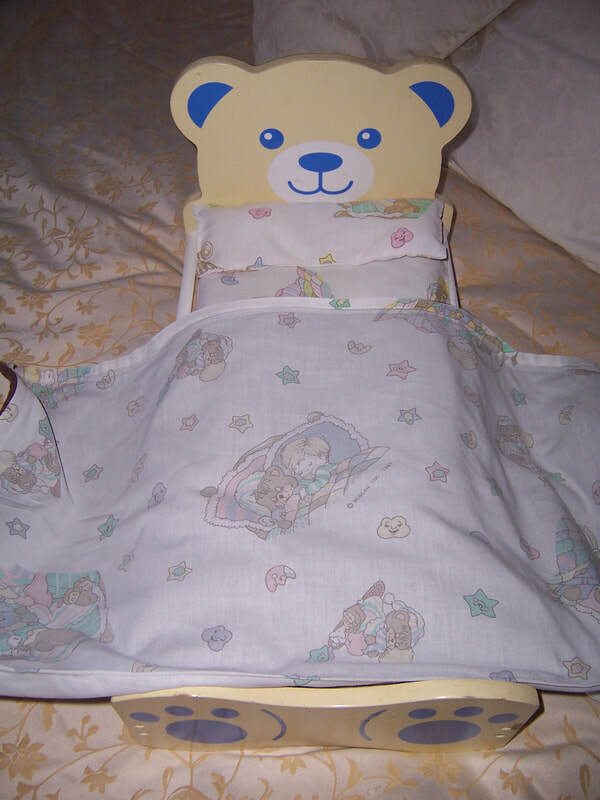 A sturdy doll bed for your special doll. 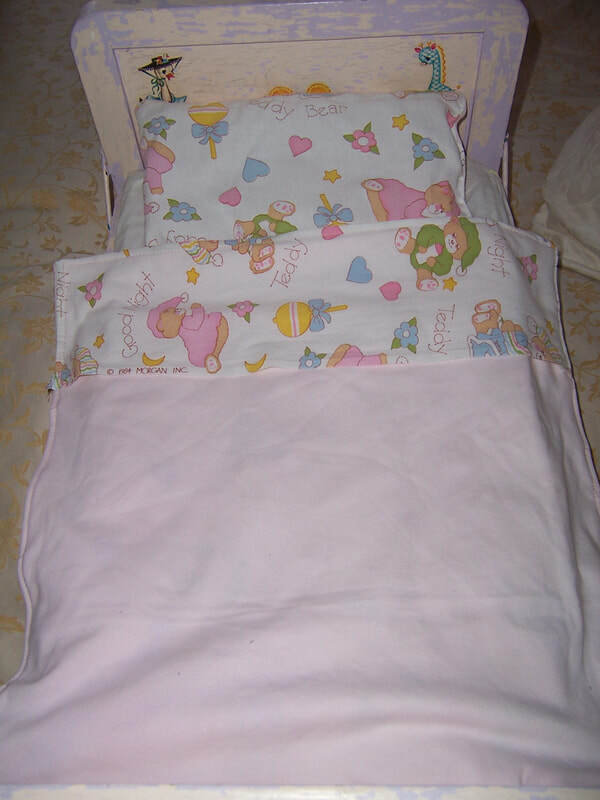 This bed will fit dolls or teddy bear lying down up to 19'' or 48cm long such as Pedigree dolls, Journey Girl dolls, Battat dolls, reborn dolls, Zapf dolls and others of similar size. This large wooden doll bed which appears to have been made by a loving parent or grandparent. It has a shabby shic look about it. 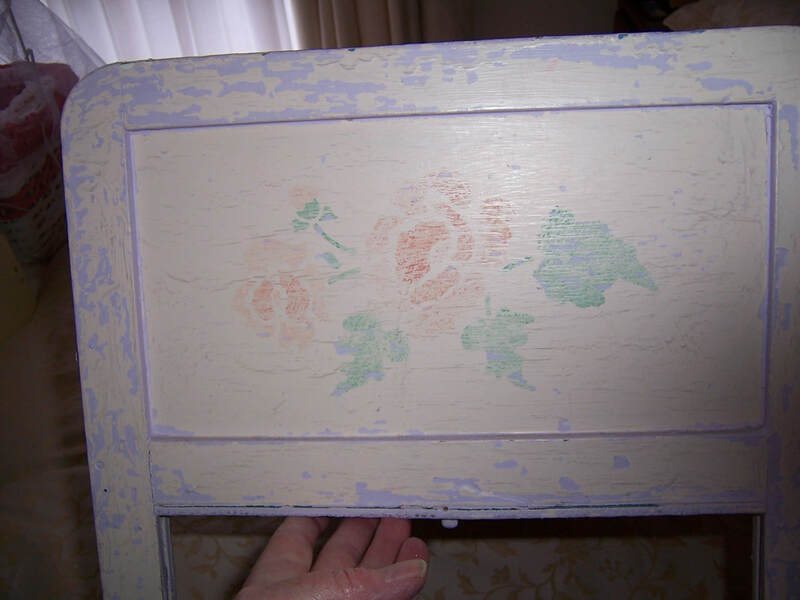 There are floral painted stencils on the outside of both head and base boards. There are also vintage stencils on the inside of these head and base as well. 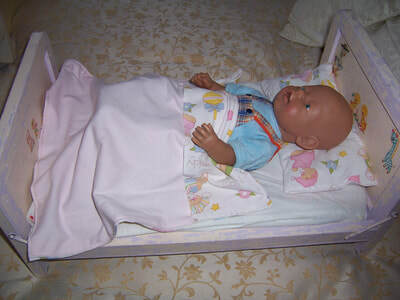 The doll in the bed is just for demonstration purposes and is a Zapf Baby Born doll 16'' tall. She fits into the bed well. We have tried a 22'' Pedigree doll and she cannot fit lying down. 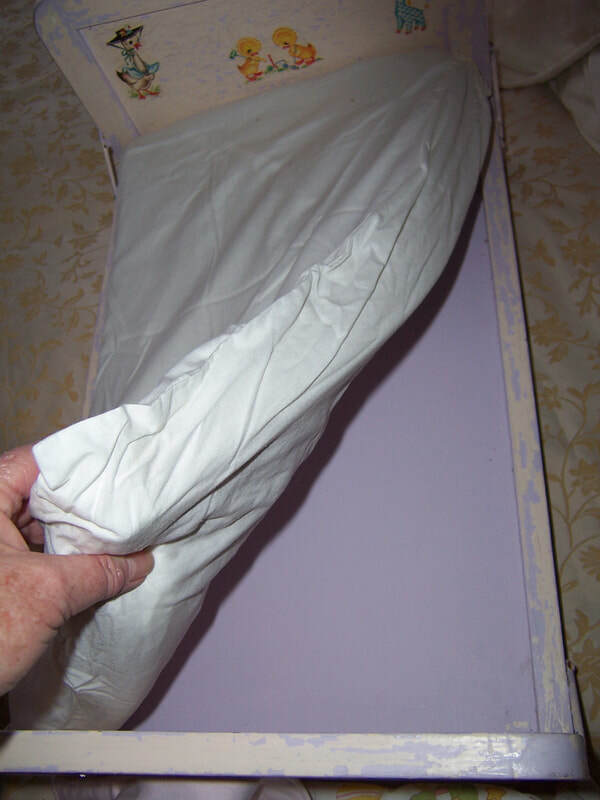 The bed comes with a foam mattress cut to size and covered with a white recycled baby pillowcase. I have also made a pillow from vintage baby sheets and a reversible pink blanket/sheet. See my photos. 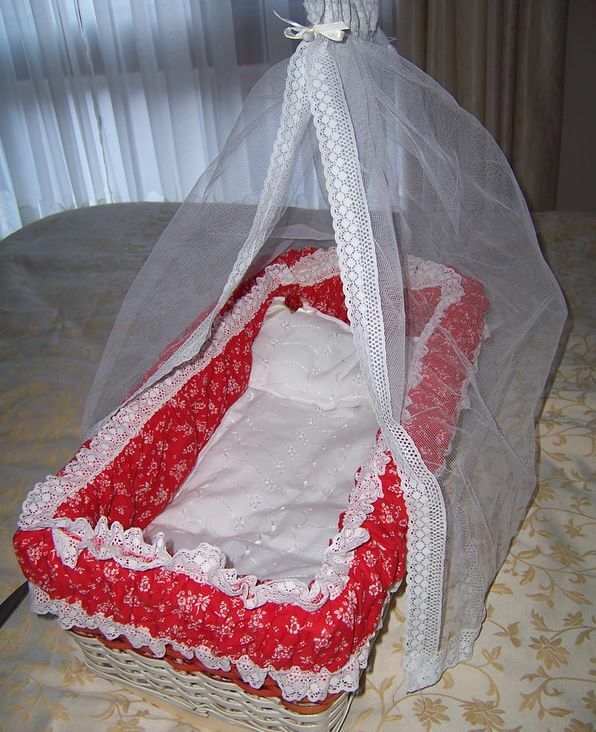 A lovely vintage doll cradle made from plastic interwoven cane in white and red. It is very solid and heavy and not sure of the age but could be circa 1980. There are a couple of scrapes to the wooden paint but nothing too bad. I am a great believer in recycling, and have recycled baby items and have made a bassinet liner, pillow and mattress and a white net canopy out of them. The crook for the net canopy is made from a white plastic covered coat hanger, and it is removable. 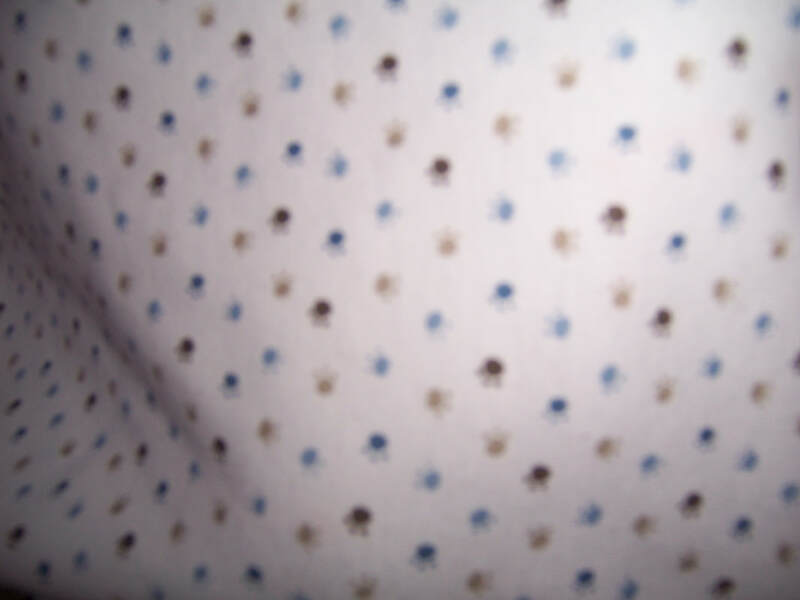 I have taken photos of a Zapf Baby Born approx. 40cm long doll to show you what size doll will fit. I have taken a picture of a 22'' Pedigree doll which will only fit if she is sitting up in it. 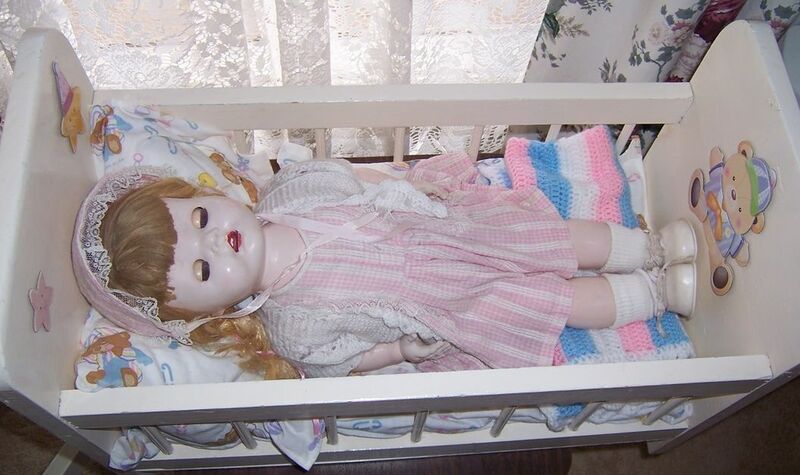 These dolls are not for sale with this bed. 20cm high from bottom of cradle to top. 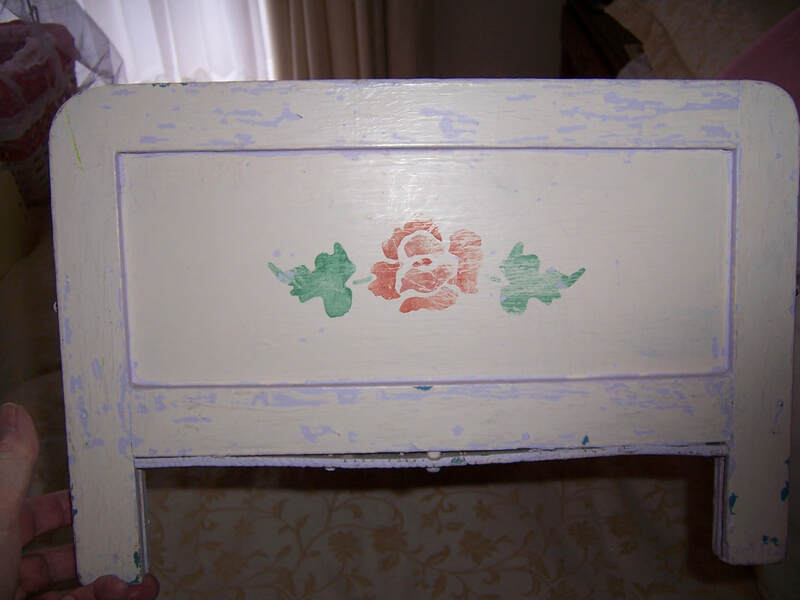 It is a cute vintage item which has worn well with time, and looks beautiful with all its vintage recycled bedding. 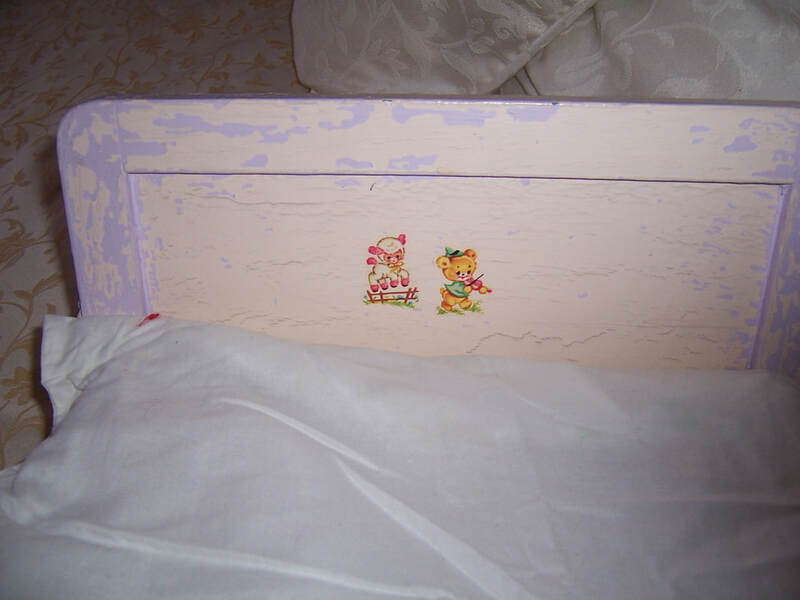 This cute doll/teddy cot has been painted pink but has a shabby chic look about it. 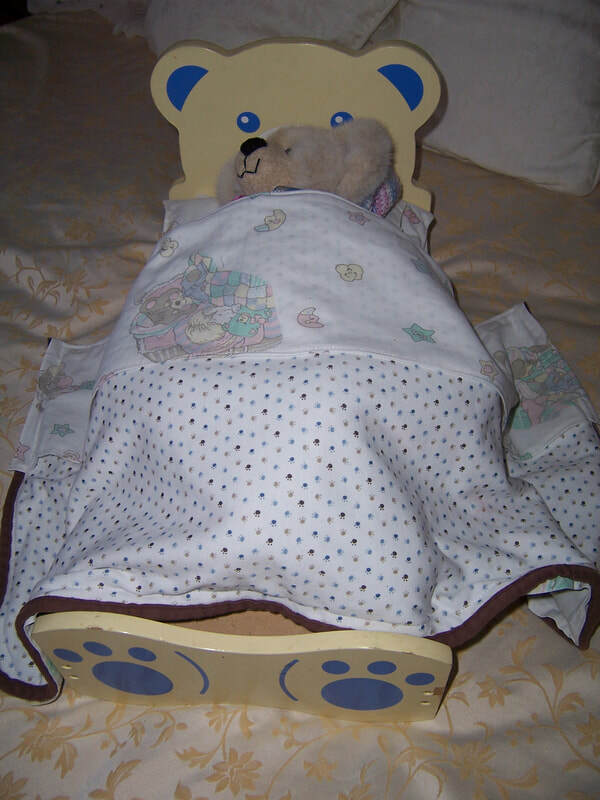 It has a wooden base and one of the sides drops down like a real baby cot. 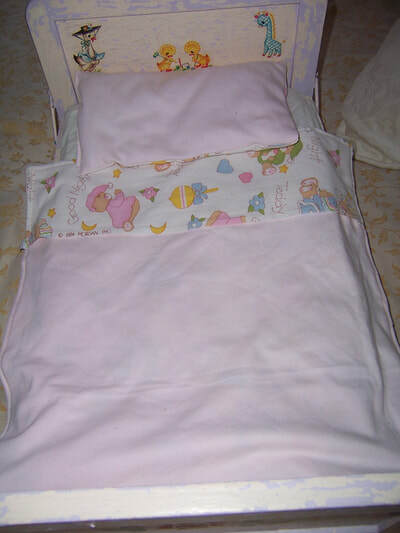 It comes with a mattress, and pillow which is covered with vintage seersucker type fabric. 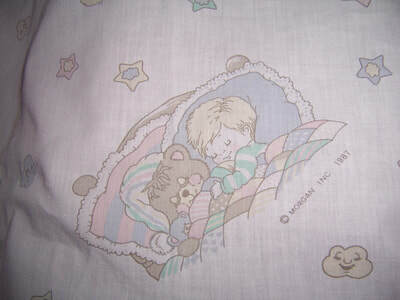 We have added a multicolour preowned baby blanket as well. 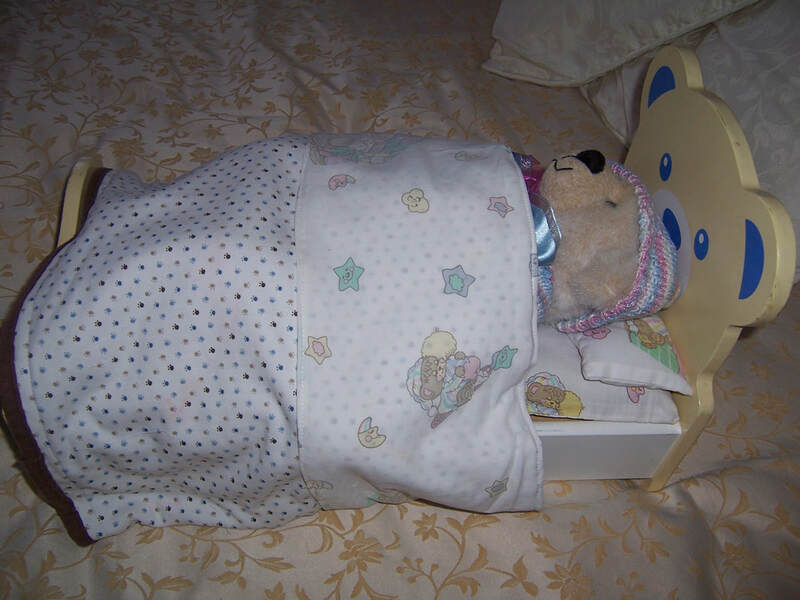 This cot will fit 22'' Pedigree dolls and the Pedigree vinyl doll 19'' which is photographed in the cot is only for demonstration purposes. 46cm high from bottom of leg to top of head board. This wooden doll high chair has been well made by a loving parent or grandparent. 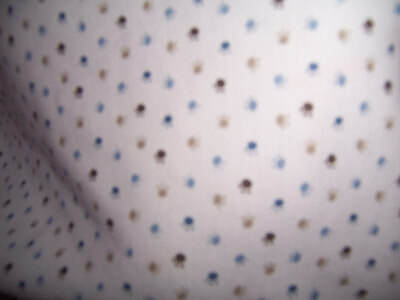 It is beige in colour and could have been made circa 1980?. The wooden tray can be flipped over to the back and the high chair can just be a chair if wanted. 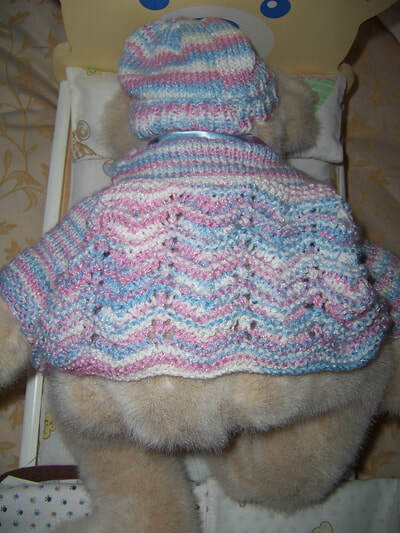 It fits our 19'' Pedigree doll and also our 22'' Pedigree doll so will fit dolls of most sizes. 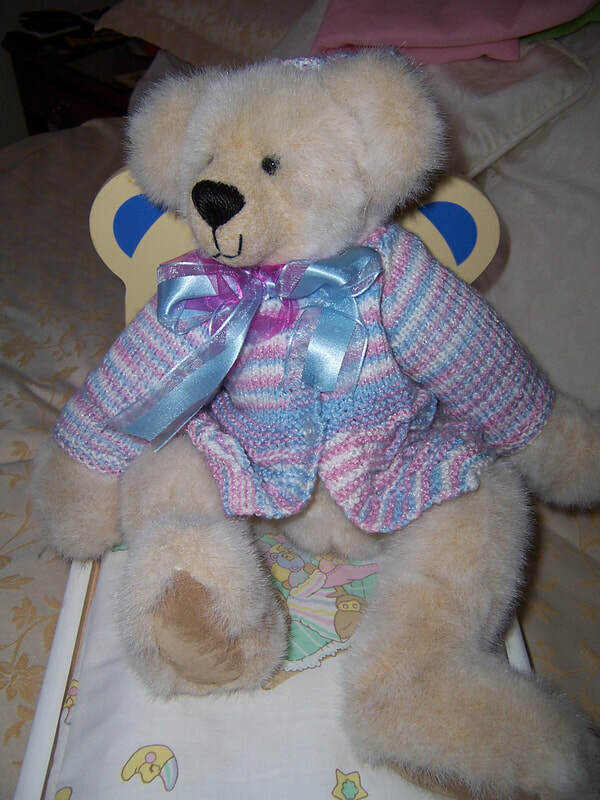 The dolls in the pictures are just for demonstration purposes and are not for sale with this high chair. 25cm wide at the sides and 24cm wide at the front. Lovely item to display your favourite doll or bear. This cute umbrella collapsible stroller is very easy for the young child to push. It also collapses down to a small size so can be put away and not take up a lot of room for those people who are short on space. The doll sitting in the stroller is our 19'' vinyl Pedigree doll and fits it very nicely. 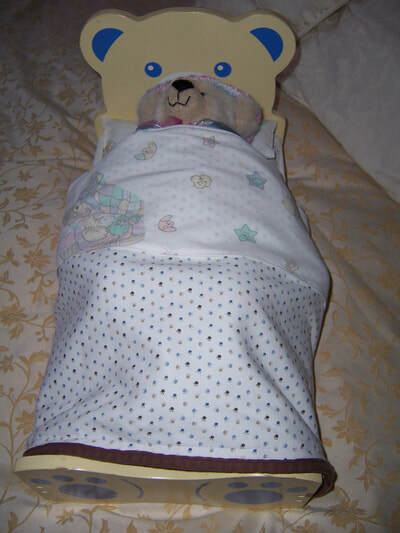 We have tried our 22'' Pedigree doll but it seems a little big and heavy for it. Our doll is not for sale with this stroller. Approx measurements when collapsed 66 cm long, and 13cm wide between wheels.